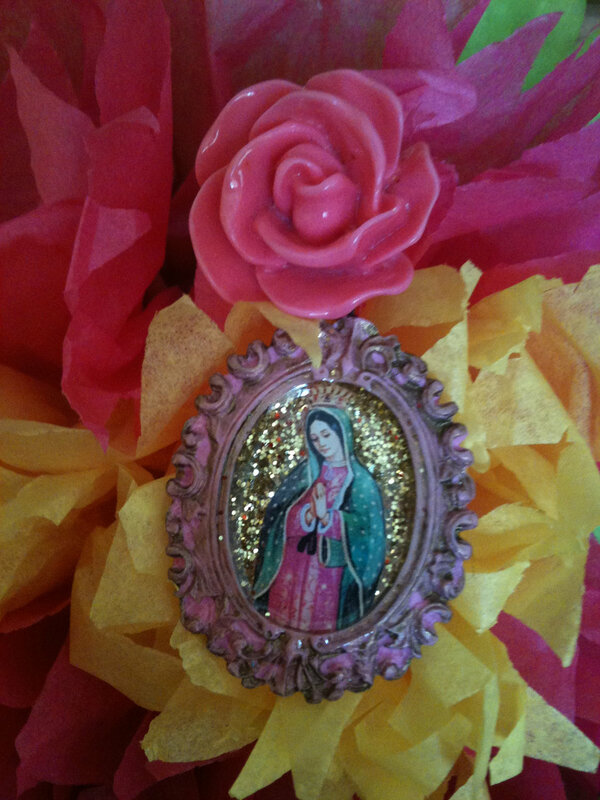 Check out this artist's work at Hello Dollface! 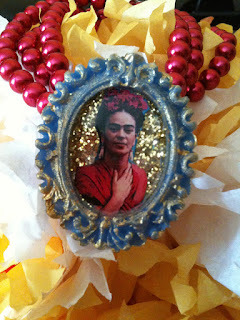 Jewelry Shop on Etsy. 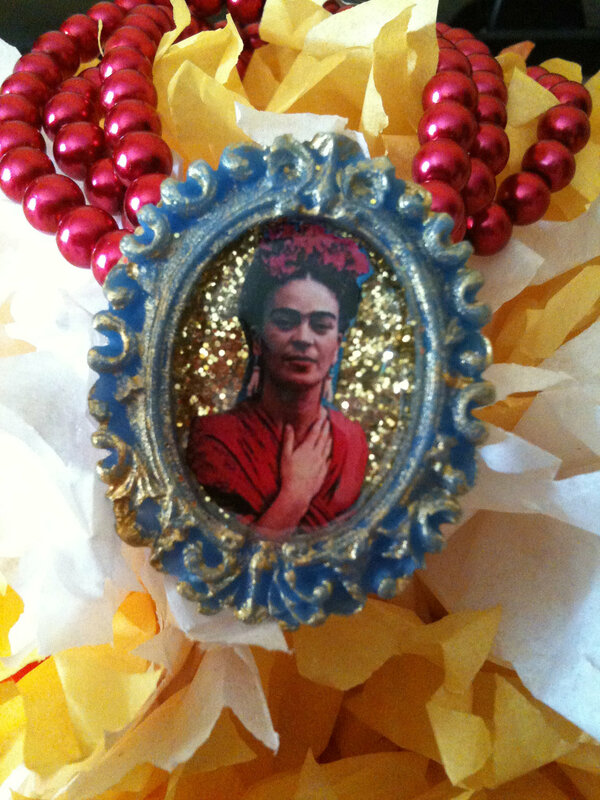 Her work is beautiful. 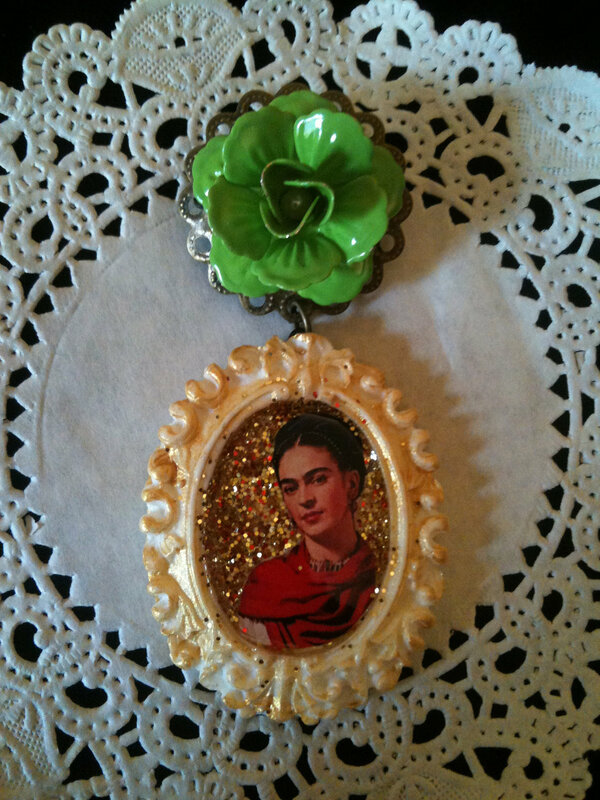 And she has a very great talent for matching great colors together to create such eye catching jewelry pieces. Check out some of her work below. 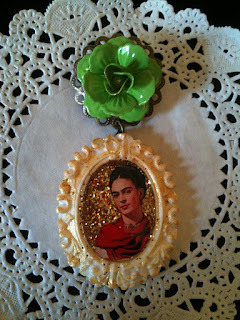 And if you want to purchase her pieces, the link to her items and shop are right below the images. 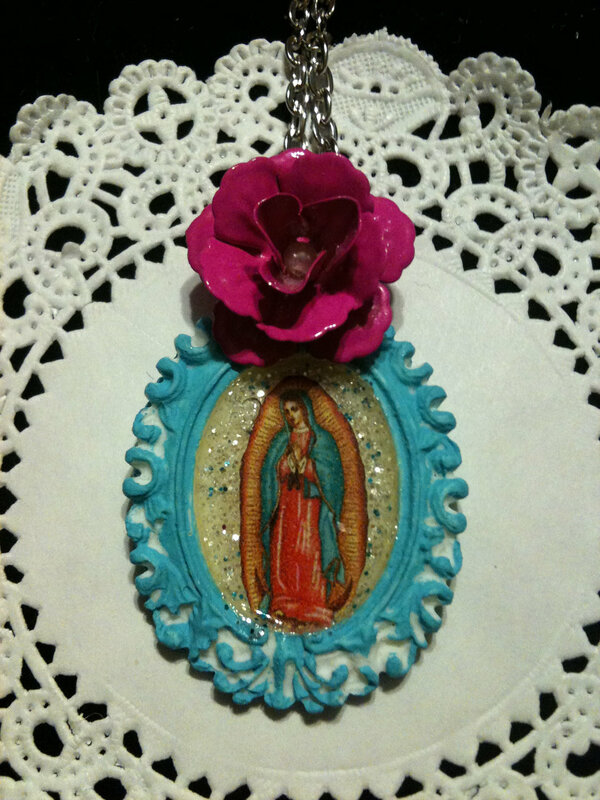 Lady of Guadalupe Inspired Necklace. I just love the blue aquamarine with the hot pink combination of colors. 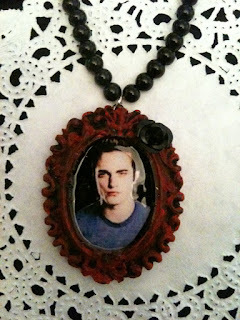 For all of you Twilight Fans out there!!! Edward Inspired, adorned in a Gothic Vampire Red and Black Gothic style frame. 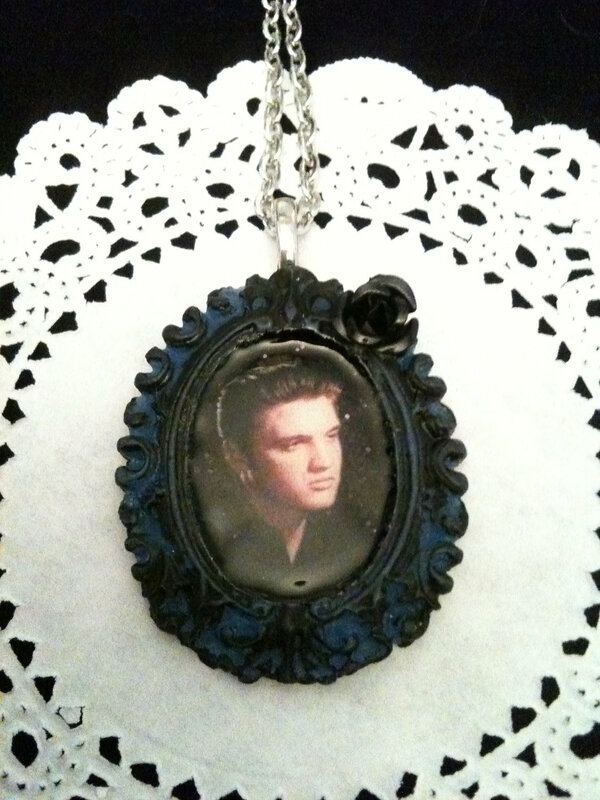 Elvis lives on in this beautiful necklace pendant. 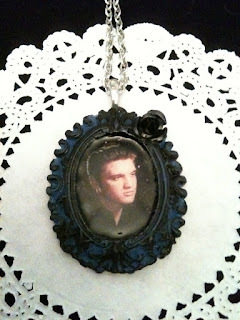 I love how the artist matched Elvis with this Gothic Blue and Black pendant frame. 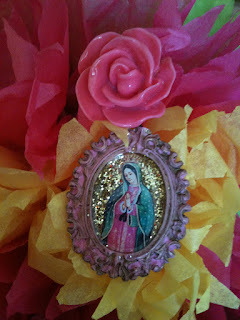 Lady of Guadalupe in Purple and gold.